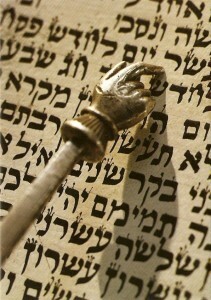 Image: A Torah scroll with pointer. This course offers a survey of much of the Hebrew Bible (Old Testament) and the Christian Bible (New Testament). We begin with a discussion of pre-Israelite religion (i.e., a reconstruction of religion in Palestine before the composition of the Hebrew Bible) and its parallels in Mesopotamian and Egyptian religious practices and texts. Then, we move through the texts of the Hebrew Bible from Genesis to Daniel, discussing each text’s origins, themes, aims and parallels in ancient literature. In the second term we begin an examination of the New Testament noting, again, each text’s origins, themes, aims and parallels in other literature of the time. Throughout the course we will note the historical context of each of the writings, and how ideas and imagery develop over time, from one text/location to another. Students taking the course will finish having a firm grasp of how the Bible is approached in the Humanities and a sound knowledge of fundamental writings that continue to influence Western culture. The course is taught from the perspective of contemporary scholarship, using historical and literary analysis to shed light on the development of biblical thought. Students should come away from the course with a much clearer understanding of biblical material, its social and historical contexts, and contemporary discussions involving biblical concepts and positions. This course is for students who wish to explore the world of the Bible critically, taking into account its historical development and its literary perspective. It is especially for those who love to inquire, explore, question and probe. It is not for those individuals whose major interest is in defending a faith position already held or who primarily wish to witness to other students about the truth of their own personal religion. Students who will be at home in this course will be interested in looking at the circumstances under which the texts of the Bible were produced, noting its different points of view and differing emphases. Such students will discover issues and points of view that were thrashed out over the course of time on such major issues as how to conduct life, life’s priorities, the nature of deity, human destiny large questions about which thoughtful people reflect, argue and disagree. 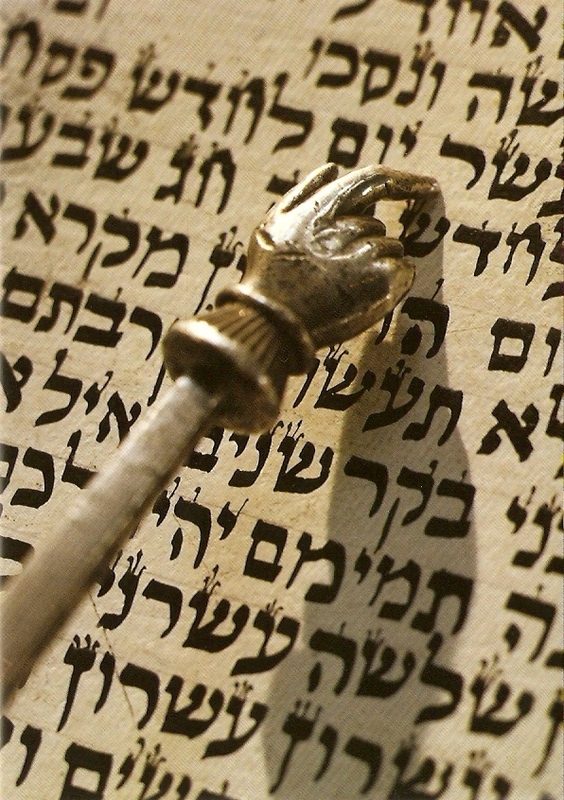 Such students will revel in the way in which different traditions have evolved that are reflected in the texts and will appreciate the different forms of Judaisms and Christianities as they sought to develop their respective identities in a pluralistic world. For students willing to inquire critically and do the assigned reading for each class, this course represents an exciting, challenging voyage of discovery. The New Oxford Annotated Bible with Apocrypha: New Revised Standard Version [NOAB], College Edition, 4th edition, Edited by Michael Coogan, Marc Z. Brettler, Carol Newsom and Pheme Perkins, 2010 (ISBN-13: 9780195289602, Paperback, 2096 pages) (another Bible is also acceptable but it must be the New Revised Standard Version). York University is very concerned about the increase in student plagiarism. As heinous a crime as plagiarism is, sometimes it is perpetrated in ignorance. Please consult the Spark page and read through the seven pages of the Academic Integrity module. Once you have completed the tutorial, print out the Academic Integrity Checklist, check the boxes as affirmation that you understand the concepts, then sign and date the page and hand it in to the instructors on or before class September 24. No assignments will be returned to you until you hand in the completed checklist. All written work for this course (tutorial assignments and the term paper) must be submitted electronically to turnitin.com. For an overview of this service and the University’s policies regarding Turnitin.com, please see: http://www.yorku.ca/academicintegrity/students/turnitin-students.htm. It is very simple to use. Go to www.turnitin.com for instructions on how to create a user profile. You can use whatever email address you wish but it must be a working one since you will receive emails over the course of the year. It is recommended that you NOT use internet email accounts (e.g., Hotmail, Yahoo, etc.). You create your own password so make it easy to remember. The address to create an account and submit assignments is: www.turnitin.com. You will also require the following information to sign in initially. Class ID: 18592067. Password: bible. Learning about the creation of the Hebrew Bible necessitates knowledge of the land that forms the background of its stories. Click HERE for a list of geographic sites and HERE for a large practice map and HERE for a practice map focusing on locations in Israel . Students can learn their locations from IB (the textbook) and the maps found at the back of NOAB. SPELLING WILL COUNT IN GRADING. The map quiz takes place in the first 15 minutes of class. WARNING: there will be one sitting only for this quiz, with one exception: students with compelling reasons (medical concerns, family emergencies) will be allowed to write on another date. List of geographic sites available HERE and a practice map available HERE. Students can learn their locations from IB and the maps found at the back of NOAB. SPELLING WILL COUNT IN GRADING. The map quiz takes place in the first 15 minutes of class. WARNING: there will be one sitting only for this quiz, with one exception: students with compelling reasons (medical concerns, family emergencies) will be allowed to write on another date. C. Tutorial Assignments. Grade Value: 20%. Generally each class will follow the following format: hour one is the lecture, hour two is the tutorial and hour three is a combination of going over the tutorial assignment and, if necessary, presentation of new material. Tutorial questions are included in the syllabus below. During the tutorial hour, the class will be broken into small cells (four-five students maximum). This arrangement is intended to allow the students to discuss the material together in order to get more fully acquainted with the primary texts. Since each student will have already done the assigned reading and prepared something BEFORE CLASS, discussion in the tutorials should not be difficult. Each student is expected to come to every class with about a one-to-two page well-conceived response to the tutorial question(s). The response must be submitted to Turnitin.com and handed in to the professor(s) at the end of the class. The tutorial participation grade is a construction of the many factors, not the least of which is that YOU MUST ATTEND THE TUTORIAL. Non-attendance is not rewarded in anyway. Everyone is expected to come prepared by doing the assigned readings. To aid the student there are specific assignments with questions based on the readings that must be answered before each tutorial. Everyone essentially starts with a B (14/20). This assumes completing EVERY assignment according to the following requirements. Doing anything less, lowers that grade. Participating in discussions and providing more scholarly, thoughtful responses raises that grade. 1. You must submit your tutorial assignment to the correct Turnitin.com site on time. If it is not submitted by 7:00 P.M. of each class that an assignment is required it is too late. 2. You must bring a printed copy of the assignment to each tutorial session. Laptop and electronic device copies are not acceptable. Material handed in must be exactly what was submitted to Turnitin.com. 4. Any one using previously submitted material obtained from a former student (even if that student was you) or submitting work collaborated on with a current or former student is committing plagiarism and MAY be given one warning before said materials are given to the dean’s office for discipline. 5. You must attend the full tutorial — partial attendance does not count at all. Submitted Turnitin.com assignments do not count if you, yourself, do not attend the full tutorial. If you must leave early then take your assignment with you and go. You receive no credit for incomplete work. Your Turnitin submission is ignored – unless it is plagiarized. Participating in the weekly discussions is the most important factor. Merely attending or poorly preparing for each tutorial may help improve your knowledge and skill sets but it will not earn anything towards the participation grade per se. D. In-class Quizzes (six dates). Grade value: 20% (5% each; best four out of six counted). On six occasions, students will write a small test on the previous few weeks’ material. These tests will take place in the first 20 minutes of each class. No additional time will be given to latecomers. Content will be based on readings, lectures and tutorial discussion. IMPORTANT: There are no make-up tests under any circumstances. Death in the family, illnesses, business trips and vacations count as a missed test. Miss two tests and the grades are thrown out — Miss three tests and one is a grade of zero. E. First term in-class test (December 3). Grade value: 15%. Additional information will be provided closer to the time of the test. F. Second term in-class test (April 1). Grade value: 20%. This test will cover term two material only. Additional information will be provided closer to the time of the test. G. Second term research paper (March 18). Grade value: 15%. Academic scholars of the Bible use various methods to interpret it. On pages xi-xii of your Carr & Conway text (see below) there are fifteen such methods listed. Reread carefully all of them and choose three that you can argue are the most important or the most effective or the most valuable contributions to biblical exegesis (critical explanation or interpretation of a text). There are many ways to interpret the Bible and many reasons why we may want to better understand it—e.g., for reconstructing the life of Jesus, for applying the Bible’s moral and ethical teachings, for examining the lives of women in early Christianity. So we want you to choose a goal such as these (whatever reason you think is most important or interesting), find three of the methods of interpretation that BEST apply to that goal, and make an argument for why these three methods are best suited for your goal. Typically your introductory paragraph will explain briefly your goal (D) and then in a thesis statement argue, for example, A, B and C are the best methods for showing D. This will be followed by three paragraphs proving what you say is valid. To assist you in writing this assignment, there will be a special tutorial session February 11 in which we discuss essay writing skills. You are required to attend that tutorial and bring with you your introductory paragraph (as described above). You do not have to do anything further on the paper at this time; simply construct a preliminary thesis statement and select the methods you think can be used in its support. Hand this introductory paragraph in to the instructor at the start of the session. Value for this portion of the assignment: 5% of your final grade. For the finished paper, worth 10% of your final grade, you must have a title that suggests your thesis and not simply the assignment. For examples, “Reflection Paper” is NOT a proper title. Type using Times New Roman font, size 12. Minimum five pages; maximum seven pages, not including Works Cited List. Use MLA for in-text citations and the Works Cited page. Do not provide a cover page. Use MLA first page rules (http://owl.english.purdue.edu/owl/resource/747/01/). Complete and attach to your paper this Academic Integrity Checklist. The paper will not be accepted without it. Submit it electronically to Turnitin.com by midnight Monday, March 18, 2018 and hand in a hard copy in class. Late papers will not be accepted without a medical note detailing a health issue that your doctor will indicate prevents you from writing and submitting this paper. The paper will be graded on Turnitin and you will be advised exactly when you can view that grade. Style: the syllabus and textbook refer to the Biblical books by their standard abbreviations (e.g., Gen. = Genesis). You will find these listed in the opening pages of the textbook. Missing papers: HUMA 1850 is a large course. It is possible that papers may go missing. It is your responsibility to keep a hard copy of all written work submitted for the course. Please come to class having read the assigned primary and secondary readings and having consulted the on-line resources. Do not forget the assigned question(s) for tutorial. A lecture outline for each week’s class will be posted on-line by the Friday afternoon prior to Monday’s class. It is your responsibility to print your own copy of the outline and bring it to class. After class today please read: IB Prologue: Orientation to Multiple Bibles and Multiple Translations (pp. 1-14). Note: You should know the meaning and significance of all terms indicated under PROLOGUE REVIEW on p. 11. Read for today: IB ch. 1: Studying the Bible in its Ancient Context(s) (pp. 16-32); and Genesis 6-8 (NOAB pp. 18-21). Tutorial Assignment: One of the fundamental conclusions of biblical scholarship is that the Bible, particularly the Pentateuch (the first five books), are a collection of materials written by multiple authors. In light of this conclusion, read the story of Noah in Genesis 6-8 and answer the following question: Scholars see two accounts of the flood of Noah woven together in Genesis 6-8 — can you? You need to read the text very carefully. Try to isolate the elements of the two different accounts and describe what the main differences are (hints: how many animals go into the ark? how long did the rains last?). 1. Write a half-page to one-page statement or mini-autobiography of your past encounters with the Bible. 2. Which parts of it have been most central in such encounters? 3. Have you studied the Bible in an academic context before? Have you had unusually positive or negative experiences with the Bible or people citing it? 1. Identify and list all the features of the three stories that are similar. 2. List the aspects of the stories that are distinct or different. 3. From the list of similarities, describe in a paragraph the “fixed form” (or common features) of the story. 4. Identify the social and cultural values embedded in this “fixed form”—in other words, what kind of culture would tell such stories? What seems to be important? (think here of the treatment of women in the stories). 5. From the list of distinct features, explain how each feature works in the literary context of each story (in other words, what makes these changes to the “fixed form” necessary in each story)? NOTE: Academic Integrity Checklist Due Today. Read for today: IB Ch. 3 Echoes of Empire in Monarchal Israel (pp. 53-74) and indicated readings from Samuel, Kings, Psalms, etc. REVISED TUTORIAL ASSIGNMENT: Read 1 Samuel 8 (Saul made king), Psalms 2, 110, 45 (The Royal Psalms); see also IB p. 57f. 1. Do you see evidence of a negative view about kingship in 1 Samuel 8? Give examples. 2. Do you see evidence of a positive view about kingship in the Royal Psalms (2, 110, 45)? Give examples. 3. How would you account for this difference in attitude about kingship between the time the prose was written and the time the poetry was written? Read for Today: IB Ch. 3 Echoes of Empire in Monarchal Israel (pp. 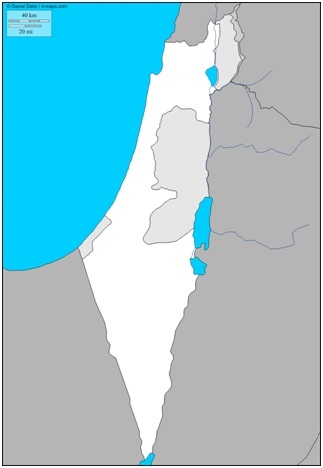 74-84); Genesis 1-11. Tutorial Assignment: read Genesis 2-3. Rent or borrow Wall-E, 2008 (Dir. Andrew Stanton). Be sure to read Genesis 2-3 before you watch the movie. 1. How is the Genesis story of Adam and Eve clearly a macro text or, in other words, consciously being adapted into this modern narrative (animated film)? 2. Any evidence of microintertextuality or direct borrowing from the Genesis narrative in the film? 3. How does it both incorporate and reread the original narrative? Remember: Think in terms of the story as written in Genesis and forget anything else you may think you know about this story! Read for today: IB Ch. 4 Narrative and Prophecy amidst the Rise and Fall of the Northern Kingdom (pp. 85-117) and indicated readings from Kings, Amos, Hosea, etc. 1. Paraphrase in your own words what is happening at this time. 2. Who are the important people in this incident? 3. What is their relationship to each other? 4. Why are they interacting at this time? 5. Why does Isaiah make an appearance? Why does Isaiah give a sign and what does the sign mean in the context of the story? Interpret the sign in terms of its original situation and explain how it helps the king to whom it is given. Read for today: IB Ch. 5 Torah and Other Texts Written in the Wake of the Assyrian Empire (pp. 119-145) and indicated readings from Kings, Deuteronomy, etc. Tutorial Assignment: download the fillable PDF of the assignment (also included in Oct. 22 lecture notes). Read for today: IB Ch. 6 Bible for Exiles: Promise and Story in the Neo-Babylonian Empire (pp. 147-179) and indicated readings from Kings, Ezekiel, Jeremiah, etc. 1. These two chapters portray God as a spouse to Israel. What do you find troubling about this portrayal? (and obviously I expect you to find something troubling about it!) Provide some examples of what is troubling about this portrayal. 2. How do you think this imagery would affect someone who is or has been the victim of abuse? 3. What does this troubling image of God do to your own image of God? Do you find Ezekiel’s image difficult to reconcile with your image? 4. Imagine you are Jewish or Christian (if you are not already). How might you explain or defend this imagery to an outsider to Judeo-Christian traditions? Read for today: IB Ch. 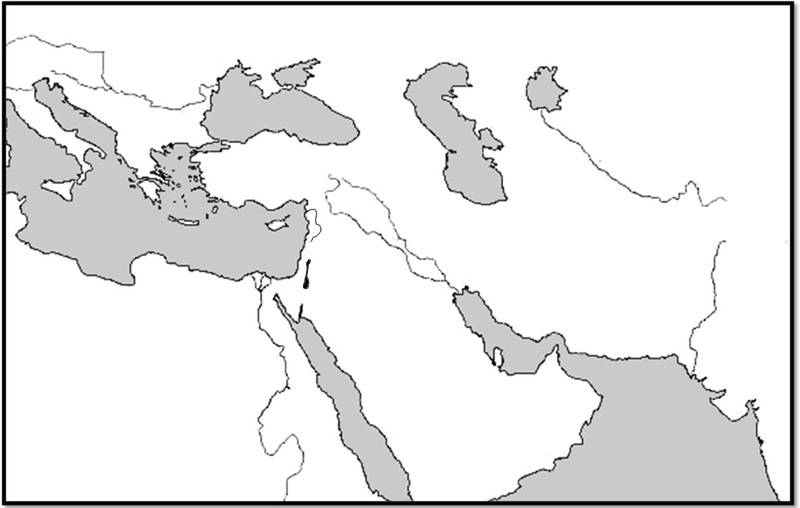 7 Persian Empire and the Emergence of a Temple-Centered Jewish Community (pp. 181-204) and indicated readings in Ezra, Nehemiah, etc. Tutorial Assignment: download the WORD file of the assignment. Tutorial Preparation: download the WORD file of the assignment. Read for today: IB Ch. 8 Hellenistic Empires and the Formation of the Hebrew Bible (pp. 205-220); Daniel 7; 1 Maccabees 1-3 (from the Apocrypha section, NOAB pp. 202-12). 1. Write down descriptions of all four beasts that Daniel sees rising out of the ocean (7:4-8). 2. In v. 13 Daniel meets “one like a human being” who interprets Daniel’s vision. Who does the “one like a human being” identify each beast as (see v. 17-27)? 3. The fourth beast is somewhat mysterious. Search the internet for information on interpretation of this beast. Report on three of these interpretations (and provide URLs for all three). Do you find any of these interpretations compelling (i.e., convincing)? Why or why not? 4. How might a biblical scholar respond to these interpretations (i.e., would she/he agree with the interpretation? why or why not?). Read for today: IB Ch. 9 Studying the New Testament in Its Ancient Context (221-226). Do you think that any of this narrative is historical? If so why? If not, why not? Read for today: IB Ch. 10 Paul and his Letters in the Roman Colonial Context (pp. 241-259). Be sure to read 1 Corinthians and Galatians. Tutorial Preparation: Carefully read through 1 Corinthians. Identify all the passages that have to do with women and briefly list them (include the gist of what the passage says; e.g., “keep quiet in church”). Do not limit yourself to commands or exhortations about women, but also passages that mention women as characters. Do you note any consistencies? Where? What are they? Based on what you have uncovered, what would you say is “Paul’s attitude toward women” reflected in 1 Corinthians. Read for today: IB Ch. 10 Paul and his Letters in the Roman Colonial Context (pp. 259-267). Be sure to read Romans 1-4, 9-11; read also 1 and 2 Thessalonians, 1 and 2 Timothy, and Titus (don’t worry, they are all brief). Tutorial Preparation: Read the “household codes” in Colossians 3:18-41; Ephesians 5:21-33; and 1 Timothy 2:8-15. Compare the codes’ views on women’s roles in the home with our discussion on Jan. 16 about Paul’s views on women in 1 Corinthians and on Paul’s view on equality expressed in Galatians 3:28. What differences do you see in the attitudes? How might these differences impact scholars’ views on whether or not Paul wrote Colossians, Ephesians and 1 Timothy? Read for today: IB Ch. 9 Studying the New Testament in Its Ancient Context (227-239) and indicated readings from the gospels; IB Ch. 11 Mark’s Story of Jesus in the Midst of Roman Retribution (pp. 269-288). Be sure to read the Gospel of Mark. Tutorial Preparation: Download the instruction for the scheduled tutorial assignment for Jan. 28 in this PDF file. The Gospel of Mark assignment is given below. We recommend completing it but you do not have to hand it in. Read all of the Gospel of Mark once through first to establish a “feel” for the character referred to as Jesus. Forget anything you think you know about him and see him only as Mark does. Look at Mark 3:5, 6:5, 10:16, 21, 40, 13:32 and chapters 14-15. What general impression do you get about Jesus from these verses? Read Mark 1:1, 11, 21-28, 2:5-12, 9:7 and 15:39. What general impression do you get about Jesus from these texts? Compare very carefully Mark 1:2-3 with Old Testament passages Malachi 3:1 and Isaiah 40:3. What remains the same in Mark’s citation of these Old Testament texts? What differences are there in the wording or in the meaning of words? Read Mark 4:10-12, 41, 5:43. What common theme do you find in these texts? Over all, then, how does Mark present Jesus? How does he present him as both powerful and as limited and human? Do you see the author conveying anything particularly secretive and mysterious? Examples? Read for today: IB Ch. 12 The Gospel of Matthew: Defining Community in the Wake of Destruction (pp. 289-305). Be sure to read the Gospel of Matthew. What details are the same? How is the context (the events that precede and that events that follow) different? Can you find anything significant in these differences that you uncovered? Can you suggest why both Matthew and Luke are unsatisfied with what Mark wrote? In other words, why do you imagine they were not content to simply copy Mark? In addition: Today we will have a special tutorial session in which we discuss essay writing skills. To prepare, bring with you your introductory paragraph (as outlined in the assignment description above); be sure to include your name and student number on the page. Hand this introductory paragraph in to the instructor at the start of the session. Attendance at this tutorial is vital for success on this assignment. Read for today: IB Ch. 13 Negotiating the Empire in Luke-Acts (pp. 307-325). Be sure to read the Gospel of Luke and the Book of Acts. Tutorial Preparation: For EACH of the following readings, describe how the author of the Gospel of Luke edits or redacts the Gospel of Mark. What does he add? What does he omit? What seems to be the purpose of these redactions? Read for today: IB Ch. 14 The Gospel of John and the Johannine Epistles: Turning Inward as a Strategy for Life in the Empire (pp. 327-343). Be sure to read the Gospel of John and 1, 2, and 3 John. Tutorial Preparation: AFTER reading all of the Gospel of John re-­read carefully the story of Jesus with Nicodemus (3:1-­21) and Jesus with the Samaritan woman at the well (John4:1-­44). How does the basic character of people who converse with Jesus come across to you? How does Jesus come across in his dialogue with them? What is a typical feature of or what do you notice specifically about the dialogue that Jesus has both with the woman and with his own disciples in chapter 4? How do the conversations in chapter 4 compare with the one Jesus has back in chapter3:1-­21 with Nicodemus? How does this Jesus of John compare with the Jesus of the Synoptic gospels in terms of conduct, attitude and as a voice of authority? What do you notice about the amount of dialogue in John that is not evident in the Synoptics? If you had to vote in a Jesus Look-­a-­Like contest, who would win (Matthew’s, Mark’s, Luke’s or John’s Jesus) and why? Tutorial Preparation: You now know the Jesus narrative very well. You know the common and traditional elements of it such as: his “mysterious” birth, his temptation by an evil force, his baptism by water, his teaching and miracle working, his betrayal by a friend and finally his having to endure much suffering and then ultimately death in order to become a saviour for others. Clearly Jesus is the heroic figure par excellence. His story captures one’s imagination to such an extent that literature and film often borrow from it in constructing their own stories. But, in doing so, they constantly reinvent the Jesus persona in their use of the basic story. Watch the film, Walking Tall, 2004 starring the Rock. On a purely superficial level it tells the story of a man attempting to make a difference. But on a deeper symbolic and/or metaphoric level, it retells the Jesus narrative in a unique way. What scenes of action or dialogue indicate that the film operates on these two levels? In other words what scenes or actions or pieces of dialogue do you find that clearly allude to the Jesus narrative? List them and indicate clearly how they are related. What is the earliest moment or scene in the film that you began to sense that there is a connection with the Jesus narrative? It is one thing to see a parallel between the film’s protagonist and the life of Jesus but you must also describe what kind of Jesus is being portrayed. Just as each gospel presents their own interpretation of Jesus, how does the film choose to interpret Jesus? Is he traditional or something else? Describe the kind of “Jesus” you find and indicate where he fits within more traditional views. Where have you seen this kind of Jesus used in film before? Read for today: Burke, “Lost Gospels–Lost No More”; Infancy Gospel of Thomas, Gospel of Thomas; Gospel of Mary, Gospel of Philip (Philip is included in today’s lecture notes; for the others, click on the title to find the text). Tutorial Preparation: Select one of the gospels assigned for today’s readings (Infancy Gospel of Thomas, Gospel of Thomas, or Gospel of Mary). These texts were not included in the New Testament, presumably because their portrayal of Jesus is not consistent with other New Testament texts. First, list what you see in the text that is similar to what we have read in the biblical Gospels (characters, locations, activities, types of stories/teachings, etc.). Then list what you see that is different (e.g., gender roles, temperament, text structure, etc.). Read for today: IB Ch. 15 Variations on Responses to Empire in other New Testament Writings; IB Epilogue: The Final Formation of the Jewish and Christian Bibles. Be sure to read Revelation, Hebrews, and 1 Peter. Tutorial Preparation: We will spend tonight’s tutorial time discussing the final test. Be sure to come prepared with any questions you might have.